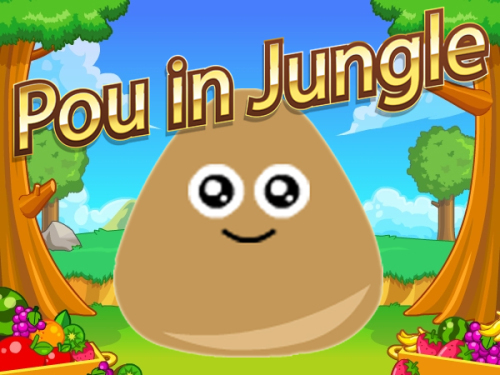 Description Pou In Jungle is a great adventure-platform game. Pou is lost in jungle. Pou need your help. Help Pou to collect all fruits on the field. But his enemy trying to catch him. Jungle animals is very dangerous.Use arrows UP key to jump or SPACE to kill enemys. Target of this adventure is to complete all 10 levels. Good Luck!